The Alco-Sensor FST (ASFST) provides precise, accurate, repeatable results on direct breath sample testing. 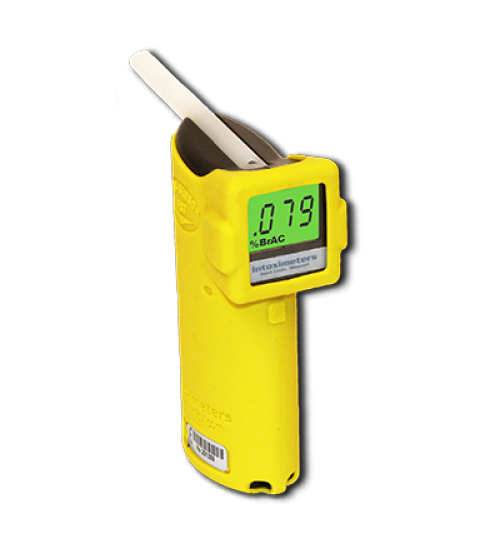 The instrument is also designed to offer a simple passive testing procedure for quick screening of a large number of subjects and the capability of measuring the headspace over a solution to identify alcohol in a suspected open container. While the Alco-Sensor FST is designed to withstand field use in a policing environment, it is also designed to offer intuitive, simple operating procedures and have sample collection requirements that minimize risk to the operator. The Alco-Sensor FST was designed with operator safety in mind. Unlike other instruments available in the market, the symmetric design and rear facing display of the ASFST allows an operator to remain in control of the subject, view the instrument display, monitor the surrounding environment and divert the subject’s breath so that they are not directly in the breath stream during the sample collection process. The Alco-Sensor FST also offers advantages in low light operations such as a backlit LCD display, an illuminated mouthpiece guide, a “lever and snap” mouthpiece insertion and optional multi-color backlit display messaging to warn of important test conditions. The Alco-Sensor FST (ASFST) provides precise, accurate, repeatable results on direct breath sample testing. 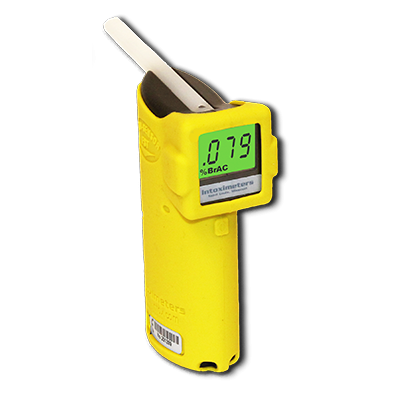 The instrument is also designed to offer a simple passive testing procedure for quick screening of a large number of subjects and the capability of measuring the headspace over a solution to identify alcohol in a suspected open container. While the Alco-Sensor FST is designed to withstand field use in a policing environment, it is also designed to offer intuitive, simple operating procedures and have sample collection requirements that minimize risk to the operator. Unique Features: The Alco-Sensor FST was designed with operator safety in mind. Unlike other instruments available in the market, the symmetric design and rear facing display of the ASFST allows an operator to remain in control of the subject, view the instrument display, monitor the surrounding environment and divert the subject’s breath so that they are not directly in the breath stream during the sample collection process. The Alco-Sensor FST also offers advantages in low light operations such as a backlit LCD display, an illuminated mouthpiece guide, a “lever and snap” mouthpiece insertion and optional multi-color backlit display messaging to warn of important test conditions.